Dr. Durability was very thoughtful with my treatment and considerate of my needs, especially since I was paying out of pocket.Would recommend. Dr. Durrani was so helpful and informative and for the first time, I felt like I was getting to the bottomof my real diagnosis. He’s very kind and patient, and I would recommend him to anyone who believes they need mental health care. Dr. Durrani was so helpful and informative and for the first time, I felt like I was getting to the bottom of my real diagnosis. He’s very kind and patient, andI would recommend him to anyone who believes they need mental health care. Dr. Adnan Durrani trained in psychiatry and specializes in anxiety, depression, bipolar disorder, ADHD, Schizophrenia, OCD, PTSD, Substance Use Disorders, and various other life crises. Dr. Durrani provides psychotherapy, CBT and medication, if necessary. He sees both adults and children. His patients are drawn to his friendly demeanor and appreciate the caring attention he gives to each person. Dr. Durrani does not take insurance and is out-of-network for psychiatry appointments. However, he sees patients on Saturdays and has no waiting list to make an appointment at this time. PLEASE NOTE: If you are making an appointment with Dr. Durrani for a new problem that he has not seen you for before, please select "New Patient" in Zocdoc. Otherwise, the appointment time will not be accurately reflected in the schedule and might need to be rescheduled. Thank you. PLEASE NOTE 2: If you have out of network benefits, please request a receipt to file with your insurance company. PLEASE NOTE 3: Appointments must be paid in full 48 hours prior to your appointment in case of no-show or late cancellation/rescheduling. PLEASE NOTE 4: For patients with ADHD, Dr. Durrani requires that you have neuropsychological testing done with a clinical psychologist before he will prescribe stimulants. If you already have documented testing, please bring this to your first appointment. Thank you. Christopher J L Murray et. al, DURRANI, A.M. GLOBAL, REGIONAL, AND NATIONAL INCIDENCE AND MORTALITY FOR HIV, TUBERCULOSIS, AND MALARIA DURING 1990–2013: A SYSTEMATIC ANALYSIS FOR THE GLOBAL BURDEN OF DISEASE STUDY 2013. The Lancet. 2014 Sep; 384(9947): 1005-1070. Cited in PubMed; PMID: 25059949. Publication Status: Published. Marie Ng, PhD, Tom Fleming, BS, Margaret Robinson, BA, Blake Thomson, BA, Nicholas Graetz, BS, Christopher Margono, BS, Erin C Mullany, BA, Stan Biryukov, BS, Cristiana Abbafati, PhD, Semaw Ferede Abera, MA, ADNAN M DURRANI, MD. GLOBAL, REGIONAL AND NATIONAL PREVALENCE OF OVERWEIGHT AND OBESITY IN CHILDREN AND ADULTS DURING 1980–2013: A SYSTEMATIC ANALYSIS FOR THE GLOBAL BURDEN OF DISEASE STUDY 2013. The Lancet. 2014 Aug; 384(9945): 766-781. Cited in PubMed; PMID: 24880830. Publication Status: Published. Christopher J L Murray et. al, DURRANI, A.M. GLOBAL, REGIONAL, AND NATIONAL LEVELS OF AGE-SPECIFIC ALL-CAUSE AND CAUSE-SPECIFIC MORTALITY FOR 240 CAUSES OF DEATH, 1990-2013: GLOBAL BURDEN OF DISEASE 2013.. The Lancet. 2015 Jan; 385(9963):117-71. Cited in PubMed: PMID: 25530442. Publication Status: Published. Dr. Durrani was kind and thorough during my appointment. He was upfront about his policies and clearly explained them not only on his website but also in person before my appointment began. I appreciated his candor and his commitment to ensuringthat his patients are properly diagnosed and treated. We had a long discussion about my medications (given how many I’ve been on over the years) and settled on a plan. He was knowledgeable and thoughtful. I hope the rest of my appointments go as well but I’m quite happy so far. DO NOT GO HERE. They will steal your money. We went here for two appointments and in both cases our insurance confirmed that they had charged us much more than we were supposed to pay. They then refused to refund useven though they knew which insurance we had and on their website said it would be in-network. We spent months trying to get in touch with the billing office to get our refund or just a clear explanation, even asking our health insurance to contact them, but Dr Durrani’s billing office continued to be unresponsive. Dr Durrani’s care was mediocre and surely not worth the billing nightmare we went through. Don’t waste your time and money! Dr. Durrani has everything I was looking for in a Psychiatrist. He was courteous, professional, knowledgeable, and asked us questions relevant to my teenager's mental health as well as her physical health. My teenager was very comfortableand open with him. As a plus, he also sees patients on Saturdays, there is a lab on the premises and plenty of parking spaces. I am glad I found this practice. Dr Durrani is very attentive and aims to get a complete picture of your situation before making a diagnosis. He emphasizes a holistic approach which is a great attribute for a psychiatrist as he will recommend therapists to aid you inaddition to your medication. I have been thoroughly satisfied with his services so far. This practitioner is extremely professional and patient focused. Fully satisfied and would recommend Dr. Durrani's services to anyone I'd consider a friend in need. Dr. Durrani is a very professional doctor. Cracked jokes which I liked during our initial visit. However, he requires a specific test (which I 110% understand) that was simply too much for me to afford that has ultimately required me togo else where. Regardless of the monetary circumstances, I would still recommend this doctor to anyone that is seeking help. I was nervous about confronting my need to see a psychiatrist. I had seen some when I was younger and their cold, cut and dry manner felt very impersonal. I found Dr. Durrani by chance, scheduled the appointment and was pleasantlysurprised with how comfortable I was opening up about the issues I’ve been experiencing. He has a warmth and understanding about him that eased away any fears I had. I was especially impressed with his ability to answer all of my questions patiently and thoroughly. I couldn’t believe I was able to be seen so soon, and on a Saturday nonetheless! My appointment was on time with no waiting and the girls at the front desk were very kind and professional. I can not say enough good things about my experience and will continue seeking treatment from Dr. Durrani. Visited two times so far, very professional and is willing to take the time to answer any questions or concerns. Very well versed in his field, I havent ran into an issue yet which he could not help and/or answer. Dr.Durrani was very professional, kind and understanding. He was very knowledgeable and did not rush me. I felt comfortable. I highly recommend anyone to see Dr.Durrani! Let’s start with when I called 3 days prior I left a voicemail and no one got back to me, after a 40min drive to Vienna I arrive and when I asked the front desk lady why no one returned myvoicemail she clearly seemed unaware that they had a voicemail system. That was her excuse as to why my call was never returned. While filling out paperwork another patient came out and she completely ignored me and started talking to them as if I wasn’t present while still asking me for payment and ID, After I paid the out of network bill,I was greeted by Dr. Adan Durrani, I was under the impression it would be a hypnotherapy session and mentioned it in the beginning of our session how I wanted to discuss moments in my life that I have no memory of, ergo hypnotherapy. Not until the very end did I find out he DOES NOT do that type of therapy. Which infuriated me. I have insurance and was absolutely appalled that after all that work and such a steep payment I wasn’t going to receive the treatment I was lead to believe I would be receiving, had I know that prior I would have gone with someone within my network. Just really disappointed with the overall experience. I spoke to ZOCDOC customer service in regards to the issue because I specifically was seeking hypnotherapy and his name came up, the customer service man informed the Doctor is the one who sets up guidelines for what he practices and what searches he pops up under. As I left the lady was doing her makeup and completely lacked any professionalism in her appearance and how she addressed me. Not until I got half way out the door did she even bother to ask if I wanted a follow up appointment. I was willing to pay the amount for that specific type of treatment but no one bothered to tell me until after I paid that it was just a psychiatrist with no hypnotherapy experience. The doctor I'd been seeing for 7-8 years suddenly stopped seeing patients, so I reached out to Dr. Durrani. He was able to see me on short notice. He is wary of prescribing controlled substances, and understandably so. If you arelooking a doctor who will hand out prescriptions on request, I would look for another doctor. On the other hand, if you are committed to improving your mental health, Dr. Durrani would be a great option. I've had two sessions with him, and unlike the other pill pushers, he seems to actually care about my well being. He has the utmost concern for his patient's well being over everything else. I was very pleased with my first visit to Dr. Durrani. He took a very comprehensive history and responded to my needs. He discused with me the expense of using him as a therapist in addition to as a psychpharmacologist. Hewas very amenable to meeting my needs to use his services for both. He was very straightforward and transparent. I look forward to working with him. Dr. Adnan Durrani was fantastic. Very professional, caring and unlike so many other doctors I have seen, Adnan was on time and totally focused on my concerns. Highly recommend him to anyone. Dr. Durrani has a calm, professional demeanor, and made me feel very comfortable during our session. He was a patient, attentive listener who steered the conversation by asking the right questions. I had a really positive experience! 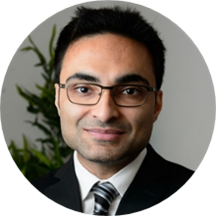 Dr. Durrani has an excellent bedside manner and I very quickly felt comfortable and at ease. I had been putting off going to a psychiatrist to discuss adjusting my medications for a long time, butI can honestly say it was worth every penny. I'm better than ever thanks to his professional care, and I highly recommend him. He was a good listener,patient,offered options. I felt goid about him treaing my son. I was very pleased with my experience. Dr. Durrani is very easy to talk to. He listened patiently to understand and provided clear understanding of his assessment of his professional opinion. I definitely recommend. Dr. Durrani is a phenomenal doctor who has been nothing but cordial, friendly, and knowledgeable in every appointment I have had with him. He is extremely professional, and I highly, highly, reccomend him! Dr. Durrani was very thorough during my mother's first visit. She has schizophrenia and has managed it very well for over 30 years. However, last year she began showing signs of Tardive Dyskenisia that were ignored by her psychiatrist. We wentto Dr. Durrani for a second opinion on several of our concerns re: her medication management. He truly took his time with us, really listened, did an assessment her psychiatrist never conducted and gave us good guidance until her next visit. We will be returning. He is very good and very understanding. Thank u for all ur help. It was a satisfied visit with Dr. Adnan Durrani. He was a very good listener and very patient.